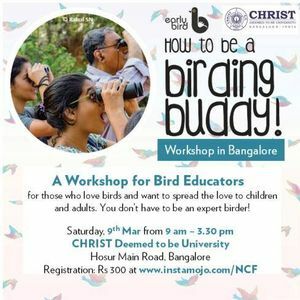 Early Bird in association with Green Army (CHRIST Deemed to be University) is pleased to bring you a workshop for birders interested in spreading the joy of birding to children. 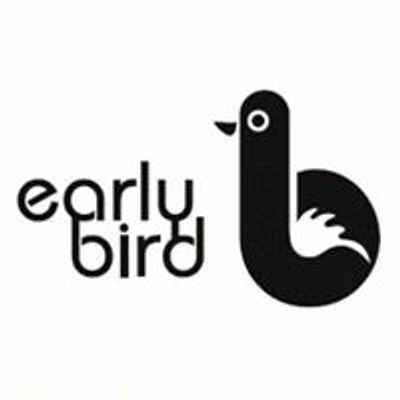 This workshop will cover a variety of techniques and activities - conventional as well as creative - to make learning fun while getting children excited about birds. Anyone with an interest in birds and an enthusiasm for taking birds to the uninitiated (children and adults). You don’t have to be an expert birder! However, this workshop will not introduce participants to birdwatching or bird identification. Please note that this workshop is not meant for children. A nominal fee of Rs.300/- will be charged (payable in advance to reserve your seat) for the workshop which includes hands-on activity training, resource material, and refreshments (but not lunch).